Monday, Nigeria will play host to the International Commission for the Certification of Dracunculiasis Eradication (ICCDE) of the World Health Organisation (WHO). Their mission is to assess the surveillance and reporting efforts, as well as verify and confirm the claim of the absence of indigenous guinea worm transmission, also known as dracunculiasis, a debilitating parasitic infection that affects people living in remote, poverty-stricken communities. If Nigeria meets their requirement, the country will join 192 countries and territories, including 180 WHO member states, that have been certified free of dracunculiasis transmission. 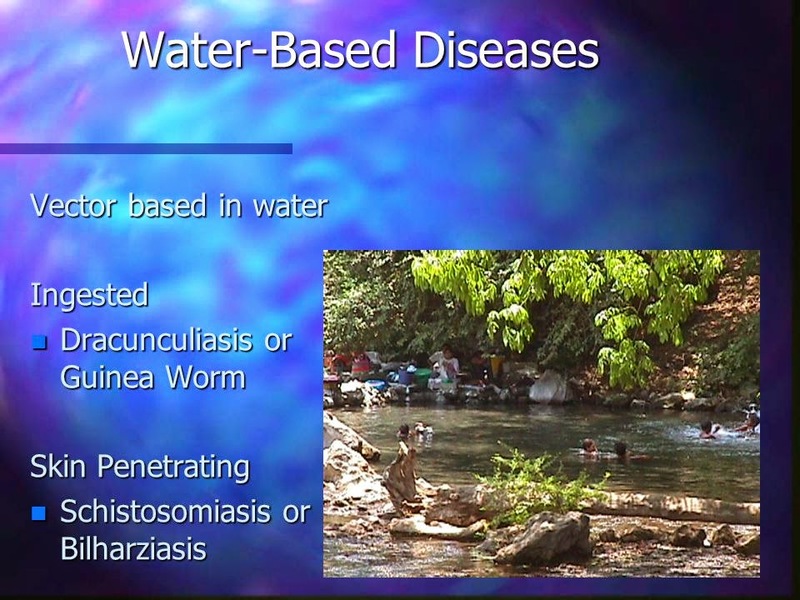 “As of 1st May 2013, the Commission had certified 192 countries and territories, including 180 WHO member states, as free of dracunculiasis transmission,” according to a recent report by the World health body. Referred in some local parlance as the “impoverisher,” the guinea worm outbreaks in south east alone, cost rice farmers an estimated US $140 million annually, within a period of seven years, between 1988 and 1995. This is an equivalent of N22.4 billion today. Reports from the Carter Center’s Guinea Worm Eradication Programme, stated: “Disease outbreaks in south eastern Nigeria, alone, cost rice farmers an estimated US $20 annually in the late 1980s.”Also, a similar report from Carter Center in 2008 said that the disease still cost USD $20 million in lost income to rice farmers alone as at mid-1990s. “In the mid-1990s, guinea worm infections in part of the heavily populated region of southeast Nigeria caused an estimated USD $20 million in lost income to rice farmers alone,” the report said. Reacting to what it cost Nigeria to eradicate the disease, Mr. Buki Ponle, member of the steering committee, NIGEP, said the loss cannot be quantified in monetary terms. In a telephone interview, he reasoned that a farmer with guinea worm has trouble working. Mothers cannot take good care of their children or carry them to clinics for vaccination. Children lose many weeks of schooling, and eventually end up as school dropout. Similarly, the World Bank estimated $1 billion in annual lost production of marketable goods, in the early 1980s due to the disease. Confirming this, a report from Health and Development International, Inc. (HDI) added that the disease worsens poverty for individuals and whole villages. It occurs mostly at times that are critical for farming, causing large losses of food production. HDI further said that guinea worm is a grotesque disease which always debases the victim. There is no effective treatment, but simple preventive interventions are dramatically alleviating affliction, because people become free of guinea worm unless they are re-infected every year. The Carter Center worked with the Nigeria Ministry of Health to spare thousands of people from suffering from this devastating disease, beginning from 1988. Between 1988 and 1989, Nigeria was the most Guinea-worm-endemic country in the world, reporting more than 650,000 cases in 36 states. For instance, the country conceived the Nigeria Guinea Worm Eradication Programme (NIGEP) in 1988 to spearhead the eradication campaign in the country. In collaboration with NIGEP, the strategy for elimination consisted of several components, driven by health education. The goal was to change behaviour and mobilize communities to improve the safety of their local water sources. Approaches introduced to communities included: health education and nylon filter distribution; treating stagnant ponds monthly with safe ABATE® larvicide (donated by BASF Corporation); direct advocacy with water organizations; and increased efforts to build safer hand-dug wells. A total of 653, 620 guinea worm cases were identified at the inception of the Committee in 5,879 villages throughout Nigeria in 1988; while the last case of the disease was reported on November 11, 2008. However, through persistence, leadership from individuals like General Gowon, and Nigeria’s contribution of US $2 million of its own funding to The Carter Center for the campaign, Nigeria reported its last case in a 58-year-old woman in south east in November 2008. “In 2008, a total of 38 guinea worm disease cases were reported in Nigeria from Ekerigwe, Abakaliki, Ebonyi local government area of Ebonyi state, Ezza Nkwubor and Utamazi of Enugu East local government and Owachi-Ubahu of Nkanu East local government in Enugu state”, he further stated. From December 2008 till date, Nigeria has maintained a zero guinea worm disease case status for fifty-two consecutive months. But, the National Certification Committee on Guinea Worm Eradication in Nigeria recently, confirmed that there has not been any guinea worm case since 2008. The committee stated this in its report through its Chairman, Prof. Olukayode Oyediran in Abuja at an occasion to mark this year’s World’s Guinea Worm Eradication Day. It added that the International Certification Team on the elimination of guinea worm will be guests in the country to declare the country free of the disease. “No case of guinea worm disease has been reported till date. From 2009 till date, we have received 545 rumour cases of guinea worm disease out of which 21 was recorded from January to March 2013. All guinea worm disease rumours from the general public are investigated within 24 hours,” Prof. Oyediran noted. When The Carter Center began spearheading the international campaign to eradicate guinea worm disease in 1986, there were an estimated 3.5 million cases in 20 countries in Africa and Asia. Today, less than one percent of cases remain in pockets of southern Sudan, eastern Mali, and western Ethiopia; 94 percent of remaining cases are found in Southern Sudan. In 2010, fewer than 1,800 cases of guinea worm disease were reported, 94 percent of which remain in Southern Sudan, with a handful of cases found in eastern Mali and western Ethiopia. Ghana reported its last case and made a formal announcement late last year. Early last year, former U.S. President and Carter Center Founder, Jimmy Carter confirmed that only three endemic countries remain in the fight against Guinea worm disease, poised to be only the second disease in history, after smallpox, to be eradicated. As at the end of December 2011, 35 countries have been certified as free of dracunculiasis in the African region. The annual incidence decreased from 892 640 in 1989 to 30 cases in 2011. 11 countries in the Africa region remain to be certified, consisting of: eight currently and formerly endemic countries (Chad, Ethiopia and Mali, currently endemic and Ghana, Nigeria, Niger, Côte d’Ivoire and Kenya in pre-certification) Three are never endemic countries (Angola, the Democratic Republic of the Congo and South Africa) that require verification, prior to certification. Only 30 (0.03 per cent) of the 1 058 cases reported globally in 2011 were reported in the Africa Region. To be declared free of dracunculiasis, a country needs to have reported zero transmission and afterwards maintained active surveillance for at least three years. After this period, an international certification team visits the country to assess the adequacy of the surveillance system and to review records of investigations regarding rumoured cases and subsequent actions taken. Indicators such as water supplies in infected areas are examined and assessments are carried out in villages to confirm the absence of transmission. Risks of reintroduction of the disease is also assessed. Finally a report is submitted to ICCDE for review. Since 1995 the ICCDE has met eight times and on its recommendation, WHO has certified 192 countries and territories as free of dracunculiasis. As at May 1, this year, the Commission had certified 192 countries and territories, including 180 WHO Member States, as free of dracunculiasis transmission. Monday, Nigeria will play host to the International Commission for the Certification of Dracunculiasis Eradication (ICCDE) of the World Health Organisation (WHO). Their mission is to assess the surveillance and reporting efforts, as well as verify and confirm the claim of the absence of indigenous guinea worm transmission, also known as dracunculiasis, a debilitating parasitic infection that affects people living in remote, poverty-stricken communities. If Nigeria meets their requirement, the country will join 192 countries and territories, including 180 WHO member states, that have been certified free of dracunculiasis transmission. “As of 1st May 2013, the Commission had certified 192 countries and territories, including 180 WHO member states, as free of dracunculiasis transmission,” according to a recent report by the World health body. Referred in some local parlance as the “impoverisher,” the guinea worm outbreaks in south east alone, cost rice farmers an estimated US $140 million annually, within a period of seven years, between 1988 and 1995. This is an equivalent of N22.4 billion today. Reports from the Carter Center’s Guinea Worm Eradication Programme, stated: “Disease outbreaks in south eastern Nigeria, alone, cost rice farmers an estimated US $20 annually in the late 1980s.”Also, a similar report from Carter Center in 2008 said that the disease still cost USD $20 million in lost income to rice farmers alone as at mid-1990s. “In the mid-1990s, guinea worm infections in part of the heavily populated region of southeast Nigeria caused an estimated USD $20 million in lost income to rice farmers alone,” the report said. Reacting to what it cost Nigeria to eradicate the disease, Mr. Buki Ponle, member of the steering committee, NIGEP, said the loss cannot be quantified in monetary terms. In a telephone interview, he reasoned that a farmer with guinea worm has trouble working. Mothers cannot take good care of their children or carry them to clinics for vaccination. Children lose many weeks of schooling, and eventually end up as school dropout. Similarly, the World Bank estimated $1 billion in annual lost production of marketable goods, in the early 1980s due to the disease. Confirming this, a report from Health and Development International, Inc. (HDI) added that the disease worsens poverty for individuals and whole villages. It occurs mostly at times that are critical for farming, causing large losses of food production. HDI further said that guinea worm is a grotesque disease which always debases the victim. There is no effective treatment, but simple preventive interventions are dramatically alleviating affliction, because people become free of guinea worm unless they are re-infected every year. The Carter Center worked with the Nigeria Ministry of Health to spare thousands of people from suffering from this devastating disease, beginning from 1988. In an address read on his behalf by the permanent secretary of the Ministry of Health, former Vice President Atiku Abubakar announced that the head of state released more than N5 billion, approximately USD $50 million – for safe water to rural communities. The former Vice President further said that Guinea-worm-endemic villages would be given priority attention. He highlighted the impoverishing nature of the disease – hence the Kanuri term for Guinea worm disease, Ngudi, “the impoverisher.” A total of 653, 620 guinea worm cases were identified at the inception of the Committee in 5,879 villages throughout Nigeria in 1988; while the last case of the disease was reported on November 11, 2008. However, through persistence, leadership from individuals like General Gowon, and Nigeria’s contribution of US $2 million of its own funding to The Carter Center for the campaign, Nigeria reported its last case in a 58-year-old woman in south east in November 2008. Prof. Oyediran noted. When The Carter Center began spearheading the international campaign to eradicate guinea worm disease in 1986, there were an estimated 3.5 million cases in 20 countries in Africa and Asia. Today, less than one percent of cases remain in pockets of southern Sudan, eastern Mali, and western Ethiopia; 94 percent of remaining cases are found in Southern Sudan. In 2010, fewer than 1,800 cases of guinea worm disease were reported, 94 percent of which remain in Southern Sudan, with a handful of cases found in eastern Mali and western Ethiopia. Ghana reported its last case and made a formal announcement late last year. Early last year, former U.S. President and Carter Center Founder, Jimmy Carter confirmed that only three endemic countries remain in the fight against Guinea worm disease, poised to be only the second disease in history, after smallpox, to be eradicated. 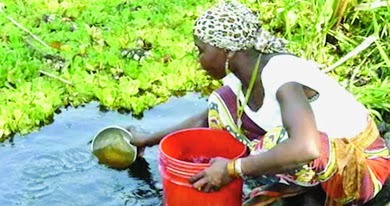 As at the end of December 2011, 35 countries have been certified as free of dracunculiasis in the African region. The annual incidence decreased from 892 640 in 1989 to 30 cases in 2011. 11 countries in the Africa region remain to be certified, consisting of: eight currently and formerly endemic countries (Chad, Ethiopia and Mali, currently endemic and Ghana, Nigeria, Niger, Côte d’Ivoire and Kenya in pre-certification) Three are never endemic countries (Angola, the Democratic Republic of the Congo and South Africa) that require verification, prior to certification. Only 30 (0.03 per cent) of the 1 058 cases reported globally in 2011 were reported in the Africa Region. To be declared free of dracunculiasis, a country needs to have reported zero transmission and afterwards maintained active surveillance for at least three years. After this period, an international certification team visits the country to assess the adequacy of the surveillance system and to review records of investigations regarding rumoured cases and subsequent actions taken. Indicators such as water supplies in infected areas are examined and assessments are carried out in villages to confirm the absence of transmission. Risks of reintroduction of the disease is also assessed. Finally a report is submitted to ICCDE for review. Since 1995 the ICCDE has met eight times and on its recommendation, WHO has certified 192 countries and territories as free of dracunculiasis. As at May 1, this year, the Commission had certified 192 countries and territories, including 180 WHO Member States, as free of dracunculiasis transmission. This story was published in Newswatch Times on June 22, 2013.